Keynote speaker Brian Lewandowski, economist with the University of Colorado Boulder Leeds School of Business, laid out the key indicators for the Northern Colorado economy. Chris Wood for BizWest. GREELEY — Colorado ranked fourth among the states in job growth coming out of the recession, and Northern Colorado led the state. 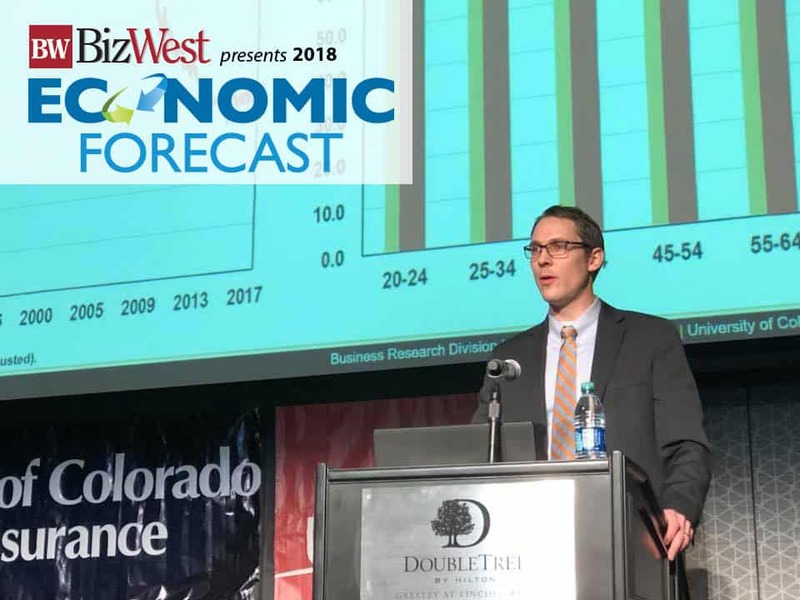 Brian Lewandowski, an economist with the University of Colorado Boulder Leeds School of Business, laid out key economic statistics for attendees of BizWest’s annual Economic Forecast event Tuesday at the new Doubletree by Hilton in downtown Greeley. Lewandowski, and later economist Matt Vance with real estate firm CBRE, both assured the audience that they don’t have to worry about another recession just yet — at least not in 2018. Job growth will be below 2 percent, which is expected given the tight housing market and challenges companies face to find talent. GDP will be about 3 percent, up from the 2.2 percent average for 2017. Manufacturing, professional and business services, and education and healthcare are leading the GDP growth in the region. Older workers — those 65 years old and older — are participating in the labor force at a rate not seen in 50 years. 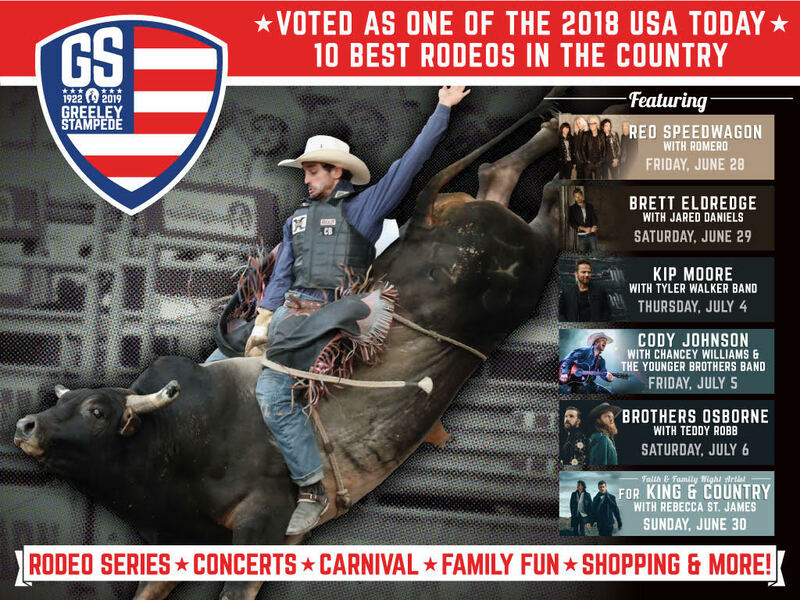 Greeley is out-performing the rest of the state due to a resurgence of the oil and gas industry, with Fort Collins/Loveland and Denver at second and third. Colorado, and Northern Colorado, are building households faster than houses, which will mean continued upward pressure on housing prices. Rent growth is outpacing both inflation and wage growth. Wage growth in Northern Colorado has averaged 2.5 percent but payroll costs have increased 7 percent, which reflects new jobs added in the region. The average wage in Larimer and Weld counties is $48,865. Members of a panel of experts provided information on several key industries that will see change in 2018. Manufacturing — Chris Otto, audit partner with the accounting firm EKS&H, said a national survey of manufacturers showed that optimism is high for this sector with 62 percent expecting to grow in 2018. Top priorities for manufacturing industries are sales growth using research and development and merger strategies, cutting costs, and grooming talent to fill the 3.5 million new manufacturing jobs expected nationwide. Technology and efficiency are the likely strategies to both cut costs and accomplish the work when insufficient worker numbers are available, he said. Health care — Kevin Unger, president and CEO of Poudre Valley Hospital and Medical Center of the Rockies, said change in health care is falling into several key areas. First, mergers are making healthcare institutions larger and involving new categories of players. He referenced a retail pharmacy buying a health insurance company, and a health insurance company buying a healthcare provider. Second, technology is bringing health care into the home whereby patients can be diagnosed for some ailments without leaving the house. Wearable technology has also made its entry into the marketplace with UCHealth’s new Longmont hospital using wearable monitors so that patients don’t have to be awoken to check their vital statistics during the night. Banking — Shawn Osthoff, president of the Bank of Colorado, reviewed the role of community banks and said changes to the banking industry are likely in 2018 if Congress rolls back some of the provisions of the Dodd-Frank Act, which placed increased regulations on financial institutions after the financial crisis of 2007-2008. Community banks, in particular, may see lightened regulation in the coming months. Commercial real estate — Matt Vance, CBRE director of research and analysis, said of the four categories of commercial real estate, multifamily housing is perhaps at the most mature phase of the economic cycle that affects real estate. He said there are 3,300 units of multifamily housing at some stage of permitting or construction in Northern Colorado, which will soften vacancy rates when they are brought online. He said the industrial sector has the lowest vacancy rate of all of the commercial sectors and is seeing strong demand and strong rental rate growth. Office space is in an expansion mode now in Northern Colorado, he said, and there is strong demand. Finally, retail space “may be in an expansion mode,” but there isn’t enough data right now to make that determination. “Headlines that retail is dead are nonsense, and the data supports that,” Vance said. Vance said that CBRE is “neutral to positive” on the impact of federal tax policy on commercial real estate. He said tax changes should cause investment, and the repatriation of profits stockpiled overseas could also have a positive impact. Vance did say that he expects the economy to enter a recession in 2019 and last for three quarters. Lewandowski said he has not projected a recession until 2020, but isn’t confident that it will occur then.